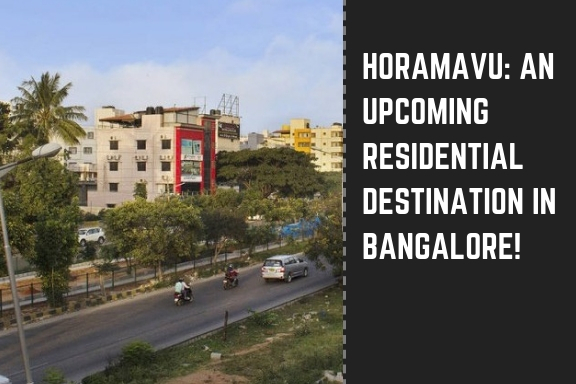 Horamavu: An upcoming residential destination in Bangalore! India’ Silicon Valley and the Capital of Karnataka, Bangalore is a shining spot of real estate investments. It is one of the most leading realty destinations that attract people from all across the globe. The city tops the list of the most desirable realty markets for investment and development, at a global level. It stands on the fifth place in the list of the preferred destinations for global MNC’s that are looking to tap talent and set up their innovation centres in. The ever-expanding IT/ITES firms, excellent education facilities, clean, green living environment and well-developed infrastructural facilities have made the city a preferred realty destination and a perfect place to retire. Located in the north of the city is Horamavu, one of the most populated wards of the city. It has a huge population 5 times that of Marenahalli ward, which is the least populated ward. Homes in adjoining localities like Ramamurthy Nagar and Banaswadi are making this ward a most desirable one. It has a good variety of economically priced homes which have huge capital appreciation potential also. Its advantageous location and superb connectivity are other plus points that are turning the area into a magnet attracting people from different parts of the city to relocate to this place making it one of the most populated wards. This prime residential suburb offers large tracts of land parcels and is one of the most-sought after areas due to its flawless connectivity and proximity to major IT hubs. It enjoys affordable property values as compared to other prime areas of the city and is hence preferred by the mid-income category buyers. Set up approximately 2 kms away from the ORR, it is well-linked to other important parts of the city. The HAL Airport is mere 10 kms from here and both the krishanrajapuram and Banaswadi railway stations lie within a radius of 5 kms from the project site. All these factors are attracting the top developers who are coming up with their latest developments in this area. Presented by the leading real estate brand Kolte Patil Developers, Kolte Patil Mirabilis is an upcoming wonderful residential project being developed at Horamavu, off Banaswadi Outer Ring Road. Spread over 7 acres of land, the property comprises of 7 magnificent residential towers that are G+12 floors tall. Each floor has 12 apartments and there are a total of 618 apartments for sale. The homes vary in the configurations of 2 and 3 BHK sets spanning 1028 sq. ft. to 1600 sq. ft. quiet inviting and impressive, the urbane residential complex is a home to world-class facilities and comforts both internally and externally and offers you an unmatched lifestyle. Coming up at a prime location, it has superb connectivity to Whitefield IT Park, Hebbal and the International Airport. Sensibly priced in the range of Rs 51.60 lakhs to 80.82 lakhs, the property is a great investment option in the realty hub of Bangalore.